Veronica Ota is First Princess; Karen Mizoguchi named Miss Tomodachi at 75th Nisei Week Coronation. 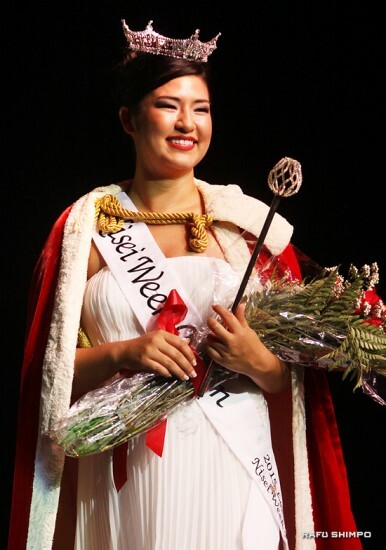 Sara Kuniko Hutter was named the 75th Nisei Week Queen on Saturday night at the Aratani Theatre in a ceremony that paid tribute to the enduring legacy of the Japanese American festival. Hutter, 22, represents the Orange County Nikkei Coordinating Council. She graduated from USC with a major in communication. 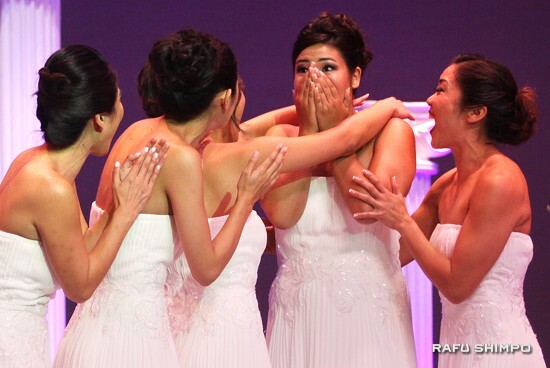 Veronica Toyomi Ota, 23, representing the Pasadena Japanese Cultural Institute, was named First Princess; the title of Miss Tomodachi went to Karen Nana Mizoguchi, 23, who is sponsored by the Japanese Restaurant Association of America. A complete wrap-up of the coronation will be published in Tuesday’s Rafu Shimpo.